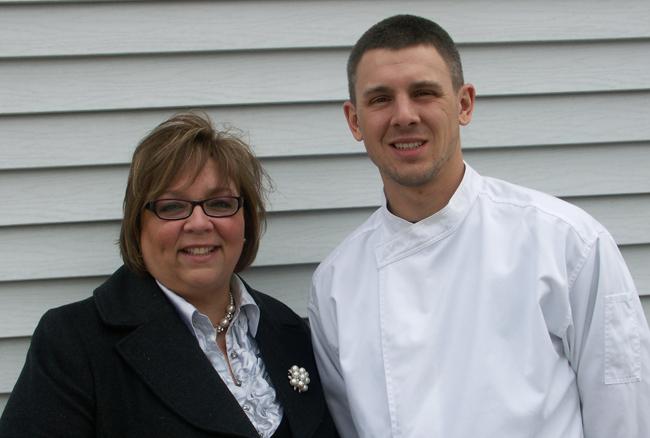 David and Sonia Wells met while attending the Culinary Institute of America. Upon graduating, they married and settled in New York City where they worked at some of the city’s top restaurants. Among those restaurants were Le Bernardin and Gramercy Tavern. After years of honing their culinary skills and learning from top NYC chefs such as Eric Ripert and Tom Colicchio, Dave and Sonia moved to Connecticut and started a small catering company named Saugatuck Kitchens. For their catering jobs, Dave & Sonia would create frozen hors d’oeuvres that could be baked from frozen at their event sites. Eventually, they began to present and sell their hors d’oeuvres to other caterers, hotels and restaurants. The hors d’oeuvres became a hit with customers! Since 1998 the line has grown from the original 12 items to over 100. Finally, to our Production Team! The best team ever, who makes sure that each handmade item is consistent and beautifully created. 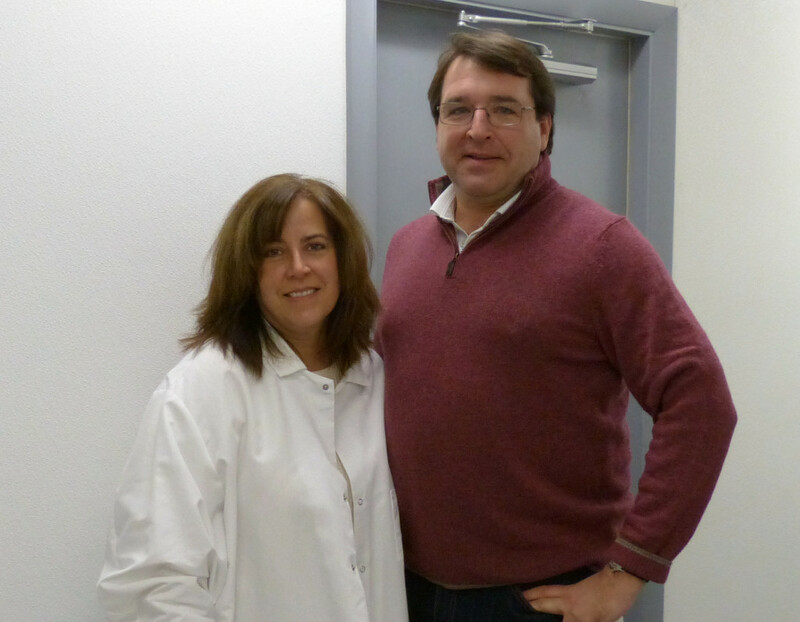 This dedicated team makes it possible for us to produce a quality and delicious product for our customers. Freshness and quality of ingredients has always been top priority at Saugatuck Kitchens! To this day, all the hors d’oeuvres are created in small batches from the freshest and finest ingredients to ensure a “just made” flavor. Each hors d’oeuvre is meticulously hand filled and shaped. Just before the hors d’oeuvres are frozen they are egg washed and garnished, giving each hors d’oeuvre its own individual look and flavor. Saugatuck Kitchens continues to grow creating new hors d’oeuvres that keep in time with changing culinary trends. Sanitation and good manufacturing practices are of the utmost importance to us. 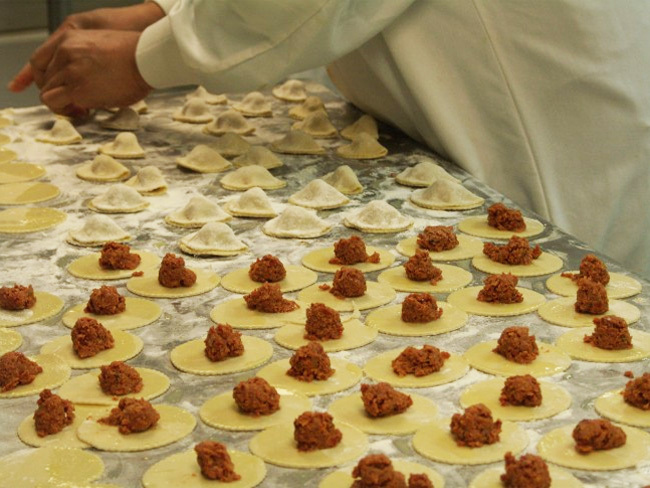 We follow HACCP guidelines and are a USDA and FDA inspected facility. In 2016 we received SQF Level 2 Certification which is recognized globally through the GFSI (Global Food Safety Initiative). We are happy to announce that in 2017 & 2018 we received SQF Level 3 Certification, the highest food product safety level.